Imagine an inquiry with a diverse group of professional cultural critics and change-makers turning over ideas and action together, forming and reforming a therapy of the cultural imagination, of the cultures in which you take part every day, such that psychology, religion, martial, liberal, and performing arts, politics, in fact all mythologies (belief systems) are shaped in service to the richness of life and the potential depths of human understanding and planetary stewardship. Would you like an introduction to that imagined conversation, and even to take part in realizing its conclusions? A series of interrelated methods are practiced here and you are warmly invited to join in! Associative Inquiry® is a group orientation and learning process based on mytho-psychology which clarifies the ways imagination and the concrete realities of daily life co-create the cultures which overlap to make the world around us. 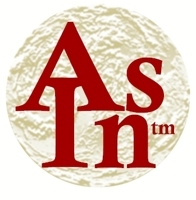 AsIn is an ideal context for learning and practicing the Process Arts, a term which refers to the field of group process design and facilitation. 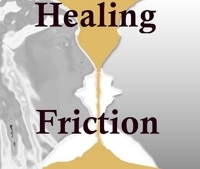 Healing Friction® is a design methodology that generates Process Arts which presuppose and work through conflict so that communities are built to be capable of continuing this practice sustainably. Sustainability, in this case, refers to shared resources being brought to bear in diversity for the benefit of everyone involved by insisting that peace itself be understood as "conflict done well." 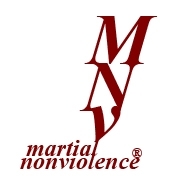 Martial Nonviolence® is a process art designed using Healing Friction to combine aikido, improvisation, and facilitation so that any kind of conflict, from the internal or physically violent to the social and systemically violent may be engaged creatively, the facilitator acting as a "professional neutral." This neutrality does not imply dissociation from a context. Instead, it requires complete acceptance of the ambivalence in experience and an aesthetically nuanced response to emergent aspects of complex systems. Having taken the tools of culture creation in our hands for over a hundred years, it is past time to make cultures of peace. 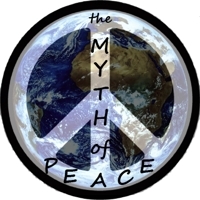 The Myth of Peace® is academic and experiential research into all of the themes developed here, and was the topic of my dissertation. To engage Brandon as a project manager, facilitator, or educator please look over his Professional Materials or tour our Online Learning area. Human beings have taken the tools of culture creation in hand for a very long time. It is past time to make cultures of peace and teach our children to surpass us, at least in this. The Culturesmith consultancy leads directly to face-to-face community building for peace. This website supports the whole systems learning that is possible online. 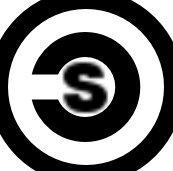 Please explore this site and enjoy its many offerings. I hope you will ask more about my potential contributions to your learning process.